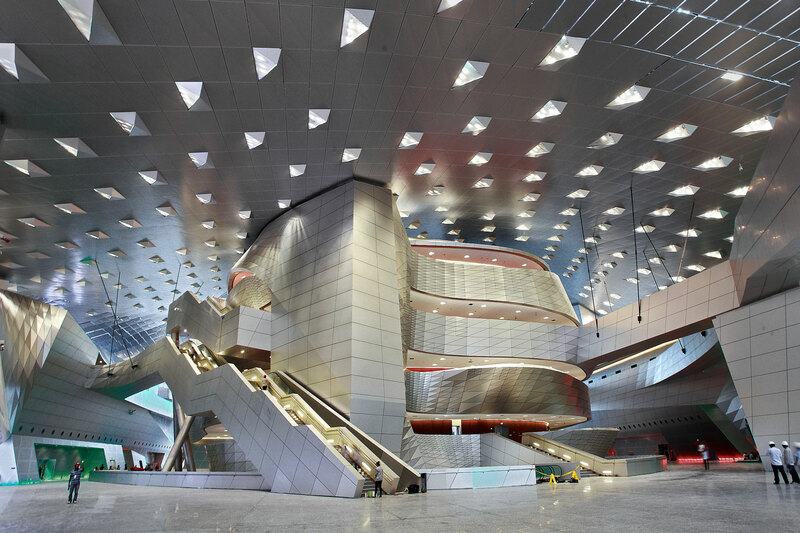 Dalian International Convention Center designed by Austrian Coop Himmelblau came into use recently after four years of construction. 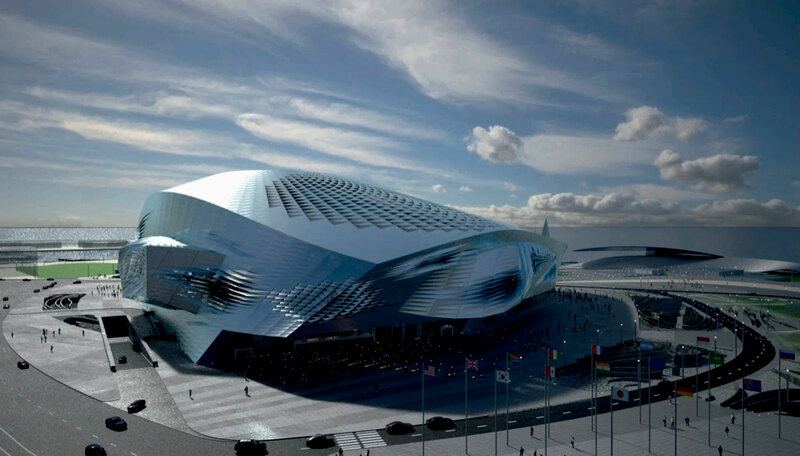 The city of Dalian finally chose Coop Himmelblau’s design out of six world’s top architecture firms in an international tendering. Coop Himmelblau, a pioneer of deconstruction architecture thoughts, has already designed many world famous modern buildings such as BMW Welt in Munich and European Central Bank. 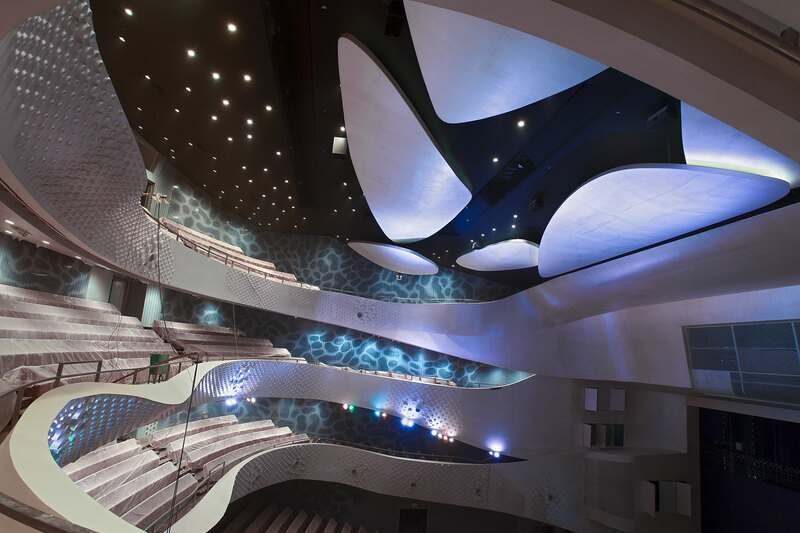 second floor, a multi-functional hall with a capacity of 1,800 people and 6 large and medium meeting rooms with a capacity of 300 to 800 people on the third floor. 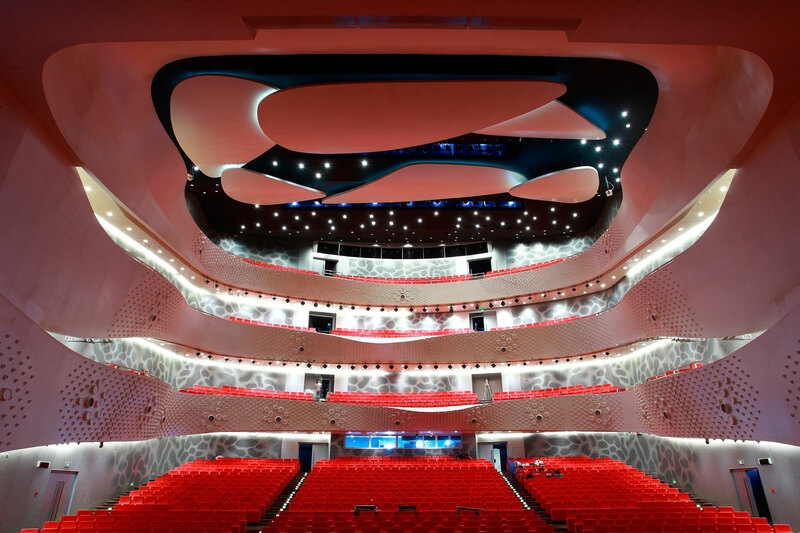 On the fourth floor, there are 26 small meeting rooms covering 60 to 80 square meters each, two 32-seat multi-functional VIP rooms and two multimedia meeting rooms. 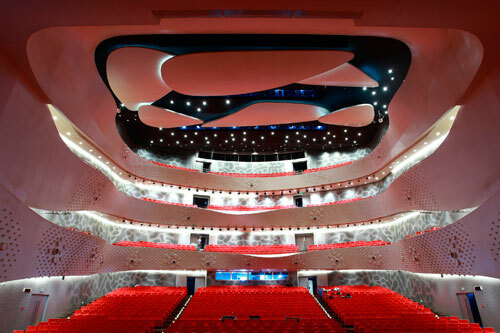 The 1,650-seat grand theatre stands at the central area from the second floor to the fourth floor, which is designed for various activities like large theatrical performances. Participants, guests, media and actors all have their own space and path to get in or out.